Skipper Pape Mbengue is a Senegalese fisherman with over 25 years of fishing experience in Senegalese waters fishing for all kinds of big game. He comes from several generations of fishermen, and his knowledge of the sea is as instinctive as breathing. His brother, Cherif, is also an excellent mate who has lined many Blues and Sailfish. 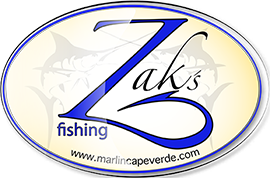 In addition, they have been trained by the famous Zak Condé and Samir Rahal to provide you with the best fishing expérience. World renowned skipper, Zak Condé, is in charge of operations while he skips his own boat Amelia, a 36’ Bertram. If you cannot find availability on either of these two boats, we also have 31’ Boca Raton fully equipped and ready for you.